This patented technology gives you the ultimate creative experience. In less than 10 minutes, you'll know if nawmal is right for you. 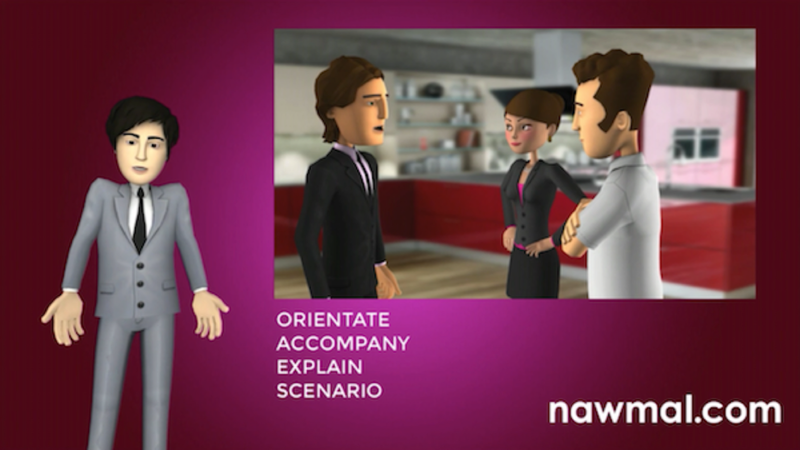 nawmal's technology enables anyone with a computer to create high-quality animated videos. With patented technology, we’ve created the ultimate AI movie-making experience. Now anyone can create top-quality 3-D animation that was previously only available from professional animation studios. In seconds, your characters will come to life and walk, talk and act in your chosen scene. Select from a variety of voices or upload a recorded voiceover and your characters' lips move automatically. Choose your set and your characters will perform like actors moving, talking, and interacting with each other. Before you know it, you’ll be creating professional quality animated videos as quickly as you can create a PowerPoint slide. CLICK HERE TO START MAKING VIDEOS RIGHT NOW! depict scenarios - "show" not "tell"
Check out the advanced capabilities available with nawmal upgrades. Click on the images above to see what you can do with extended customization, and even start creating for Augmented, Mixed (AR , MR) and Virtual Realities (VR) with nawmal.